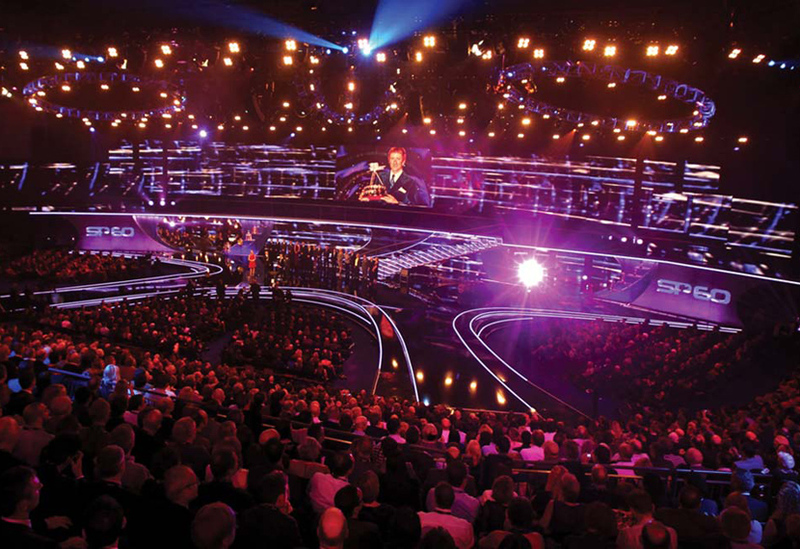 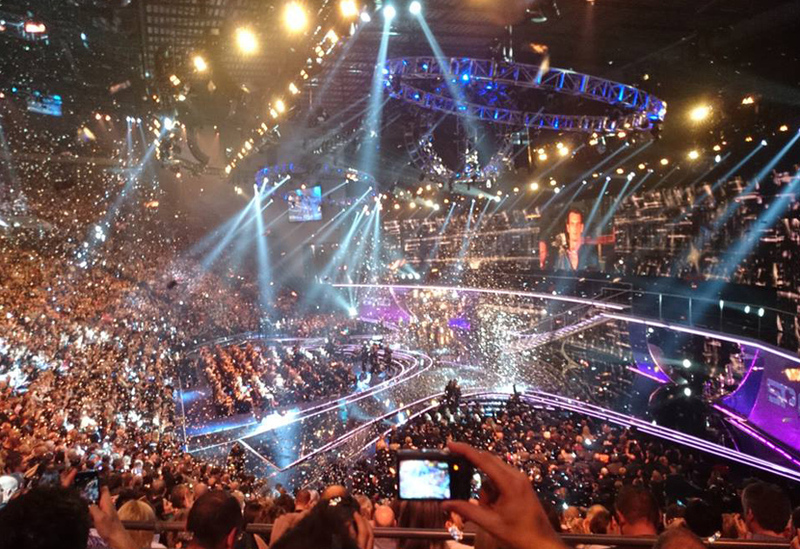 The 60th Anniversary of SPOTY was broadcast from a packed Leeds Arena with a capacity audience of over 13,000. 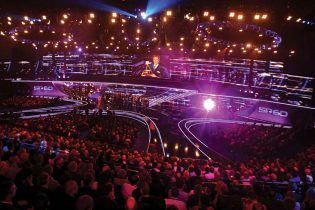 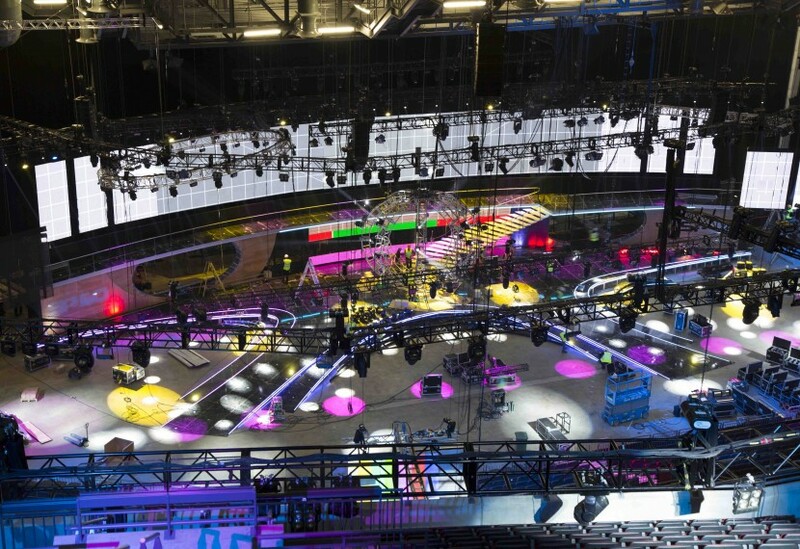 The huge high-gloss set for this landmark show created quite an impact and consisted of a large curved main stage with two apron slopes, the scooped areas between providing VIP seating and an orchestra pit. 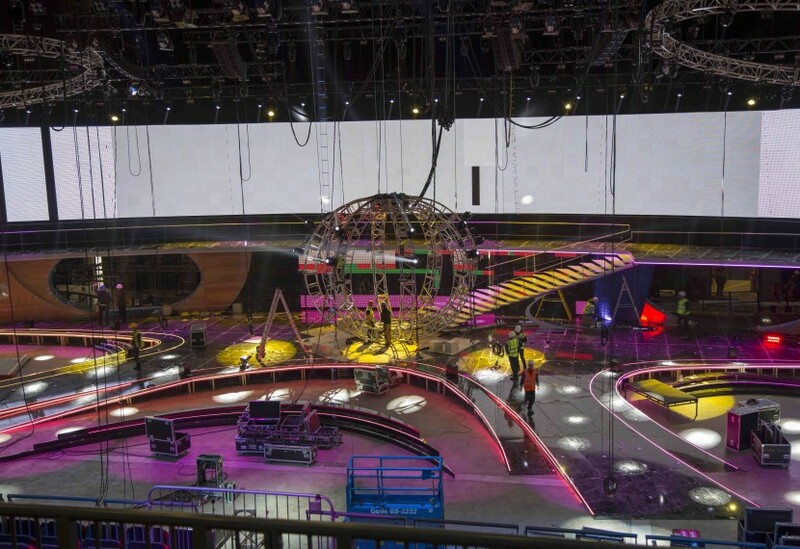 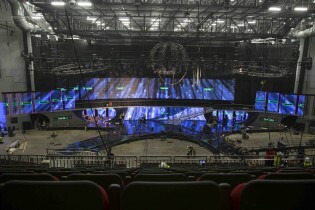 Running along the rear wall, a raised structural walkway linked to the main stage below by means of a feature staircase comprising clear acrylic treads lit with ribbon LED trim. 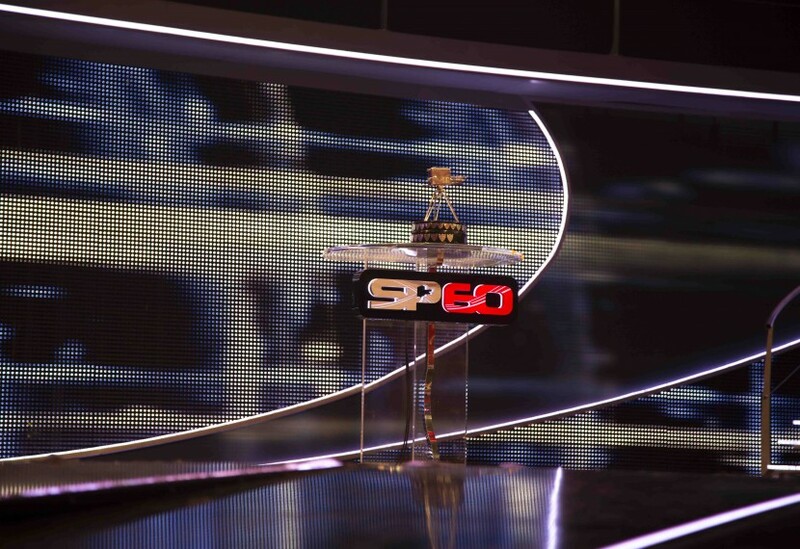 The rear wall itself featured the SP60 logo and graphics, while staggered LED screens created hidden entrances. 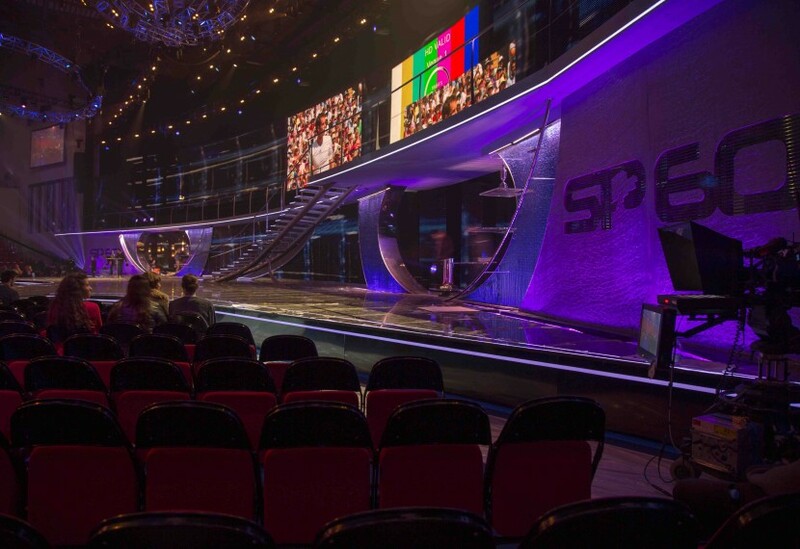 A high gloss black finish was used throughout the set and stage surface, with silver mirror laminate and LED trim being used to great effect.